The peak moving season—which starts mid-May and ends around the Labor Day weekend in September—is fast approaching. Every year, tens of thousands of Americans move into a new home at some point, but it’s estimated that between 60-70% of those moving do during this time period over the summer season. While moving can be a complicated and time-consuming task at any time of the year, relocation can be even more challenging than usual during the peak moving season. With the sheer number of families and individuals looking to move between the months of May to September, moving companies can get extremely busy. At Arnoff Moving & Storage, we’ve been helping homeowners move efficiently and conveniently for more than nine decades. We understand what a difference it can make for those moving to act early before the rush of the summertime makes things more complicated than usual. 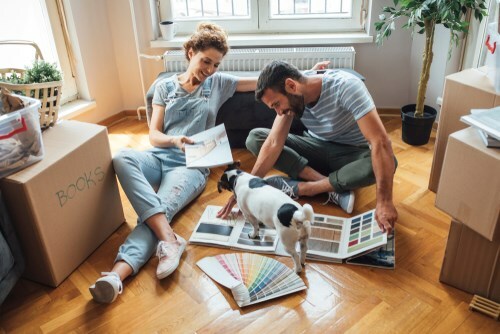 In this article, we will discuss the greatest benefits of planning your move earlier than the peak moving season to help you organize a smoother relocation this year. Researching moving companies that you can hire for your move can be tedious, but finding reliable companies and failing to successfully book on your preferred dates can be even more stressful. This kind of situation only occurs during the peak moving season when moving companies have a lot of customers and are fully booked. Planning ahead and arranging for professional movers in the spring, arranging for utilities in your new home, preparing important documents and packing, and accomplishing all other tasks before the peak season will help save you from stress. When you plan your move during the low season, moving companies are likely to give you a better deal compared to a peak season move. The rates for moving services go up during the high season because of the massive demand. On the other hand, these companies typically offer promos and discounts during the off-peak moving season. To find out the difference between rates now and during the summer rush, contact several moving companies for a free consultation and pricing estimate, and ask about different dates. By planning your move earlier than the peak moving season, you will have more time to prepare for your move, arrange the timeline, and choose the most suitable movers for your needs. Planning ahead of the moving rush will also keep you from booking with one of the many unestablished and unlicensed moving companies that set up shop over the summer months. In many cases, these companies are scamming people that are desperate for moving services over the busy summer months and can wind up costing you a fortune in time, money, and stress. When you plan during the off-peak season, you will enjoy greater flexibility when it comes to the schedule of your move because moving companies are not too busy. On the other hand, you will most likely find it difficult to schedule your move during the peak season as moving companies are fully booked, and you will be forced to adjust your dates to fit with their schedules. If you are looking for reliable moving companies for your move this year, schedule a visit with our team at Arnoff Moving & Storage. We are a family-owned, full-service moving and storage company that has been serving Massachusetts, New York's Hudson Valley, Connecticut, Florida, and other states since 1924. We specialize in moving our customers anywhere they need to go, whenever they need to get there—during the peak season for moving and throughout the rest of the year. With experience in the moving industry that spans for over several decades, Arnoff Moving & Storage has established itself as one of the most trusted moving companies in the area for superior-quality residential, commercial, industrial, and specialized moving and storage needs. If you want to learn more about how our expert movers can help you, give us a call to speak with a representative now, or fill out our online form for a free in-home estimate and consultation.